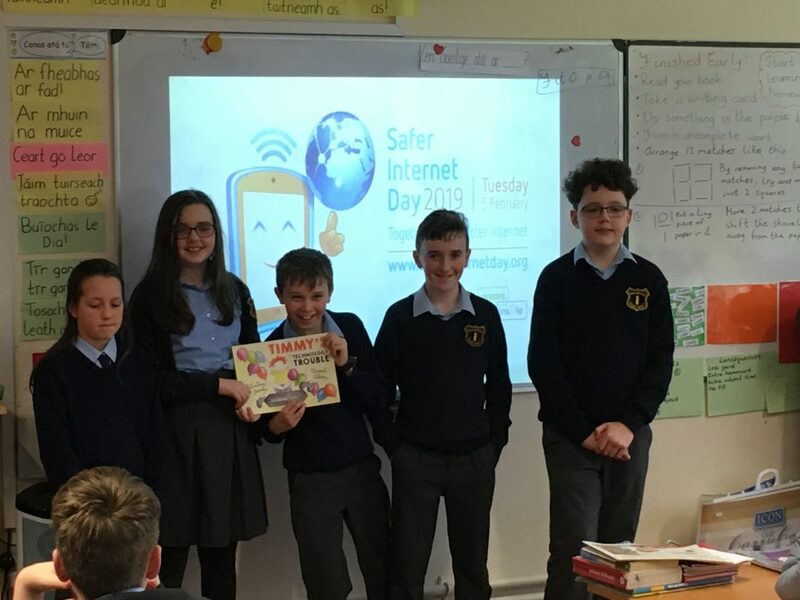 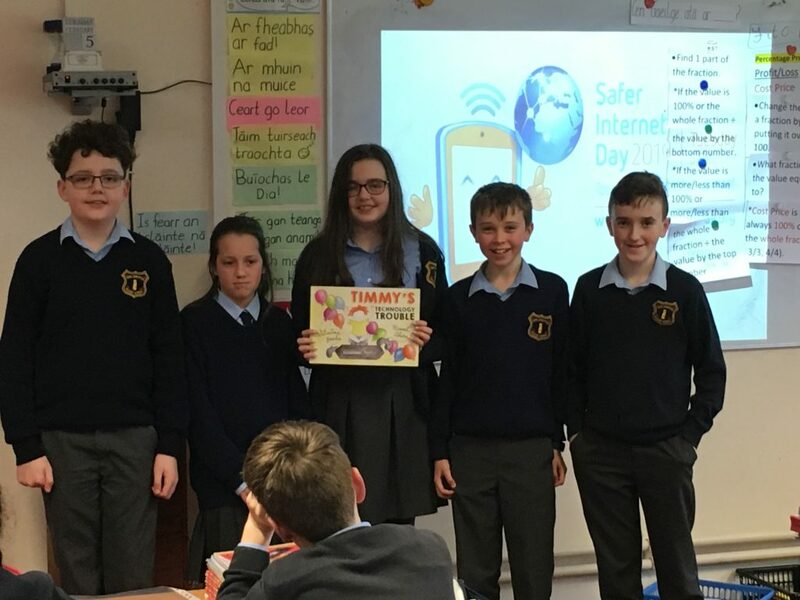 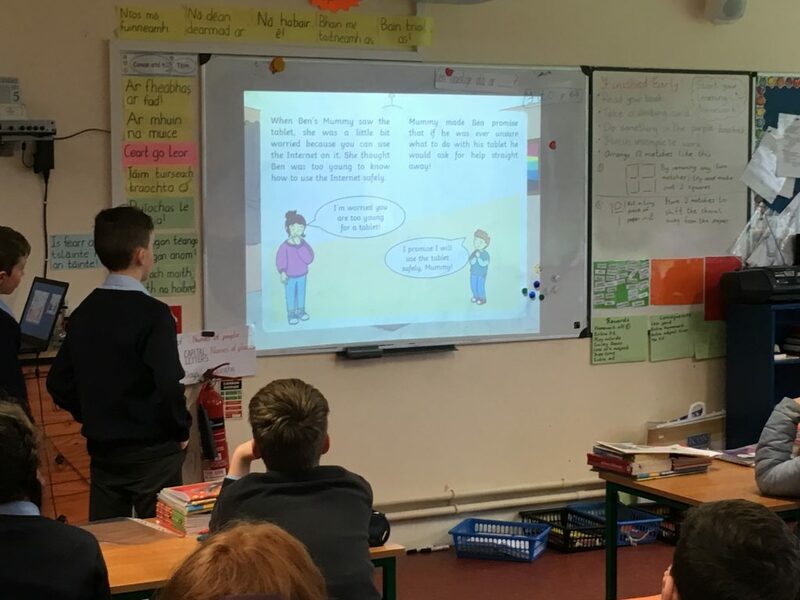 To celebrate Safer Internet Day 2019 in St. Colman’s Rang a cúig visited Ranganna a haon go dtí a sé to share their tips on Safer Internet. 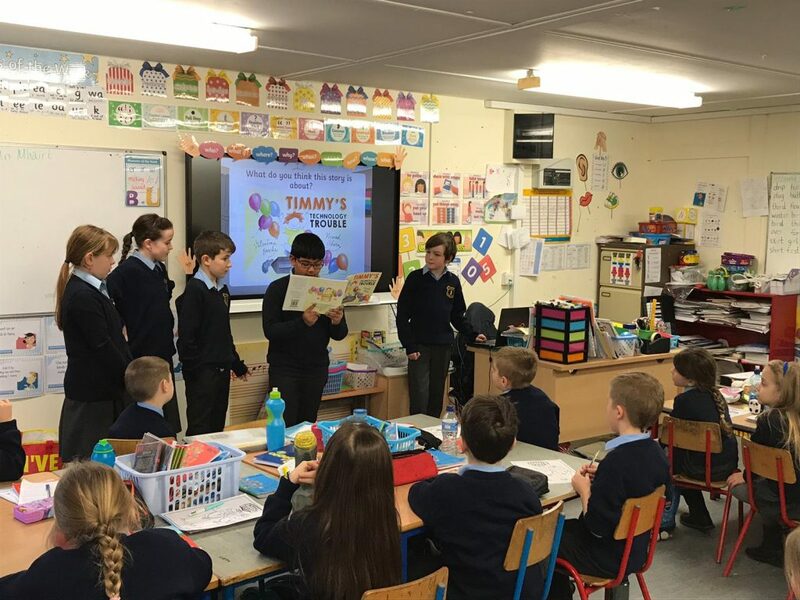 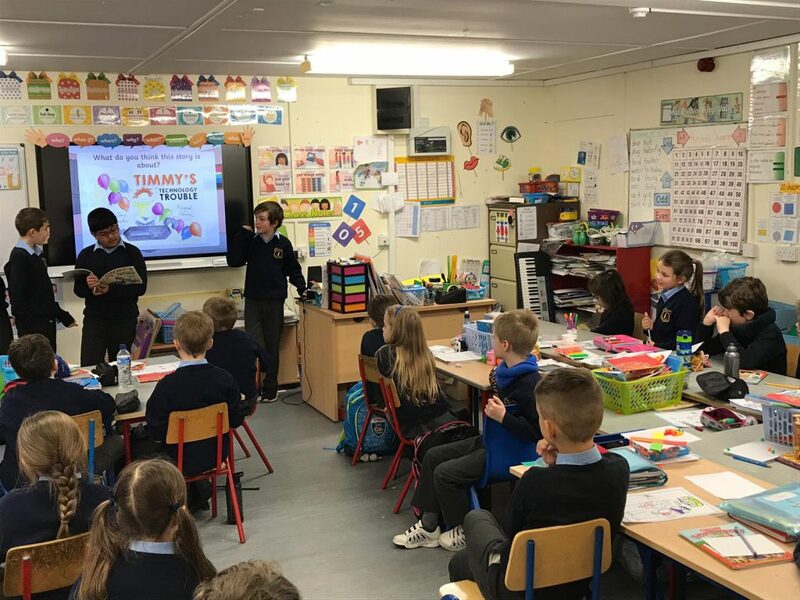 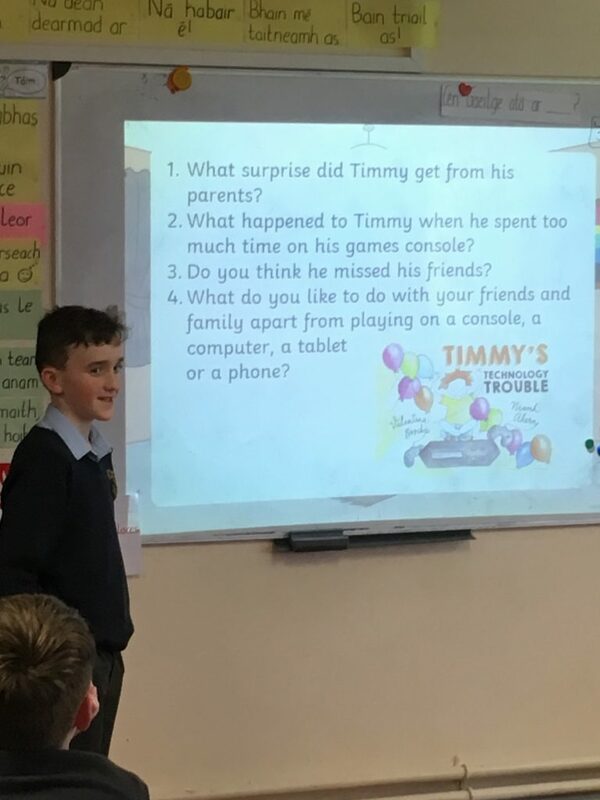 They read the story “Timmy’s Technology Trouble” written by Niamh Aherne and illustrated by Valentina Boschi for the classes and asked some questions based on the book. 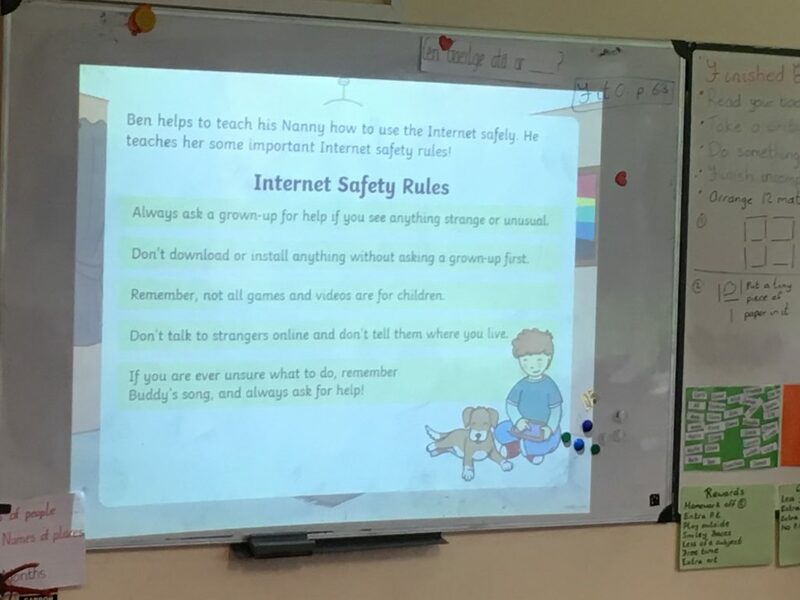 They also gave a presentation to the classes on how to stay safe online! 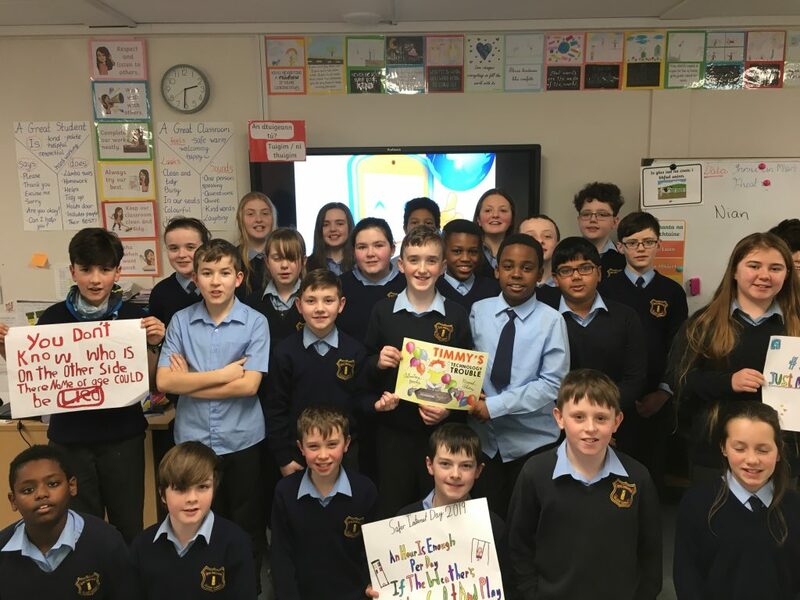 Other classes took part in the poster and colouring competions. 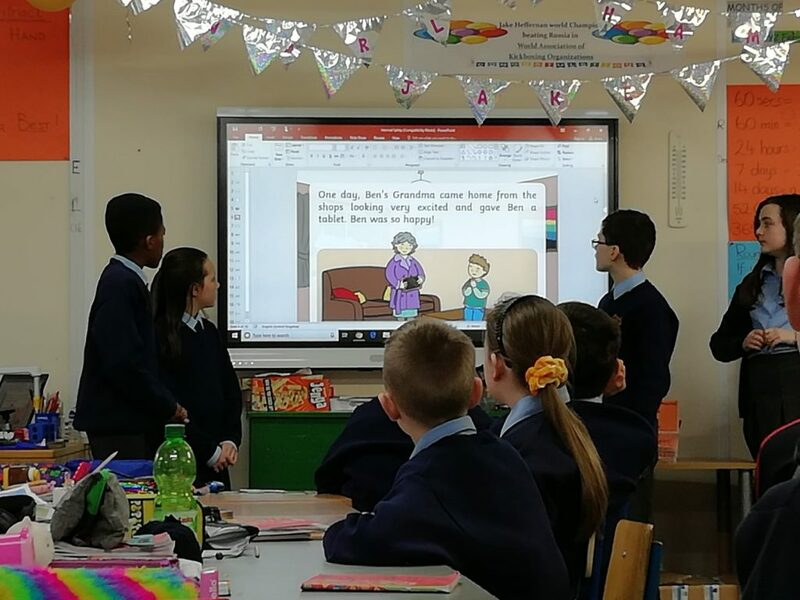 Here is a link to Webwise Parents Hub and Guides for Parents. 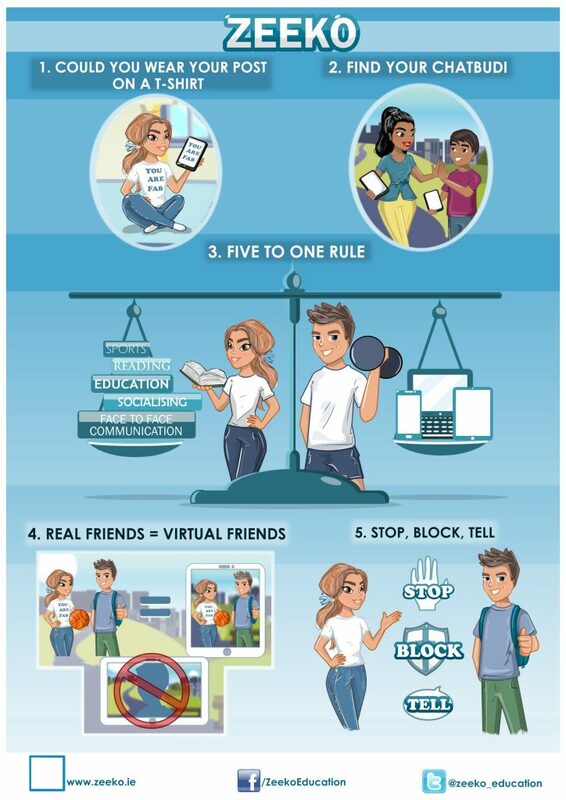 You’ve been framed, will help the students to reflect on their photo sharing practices. 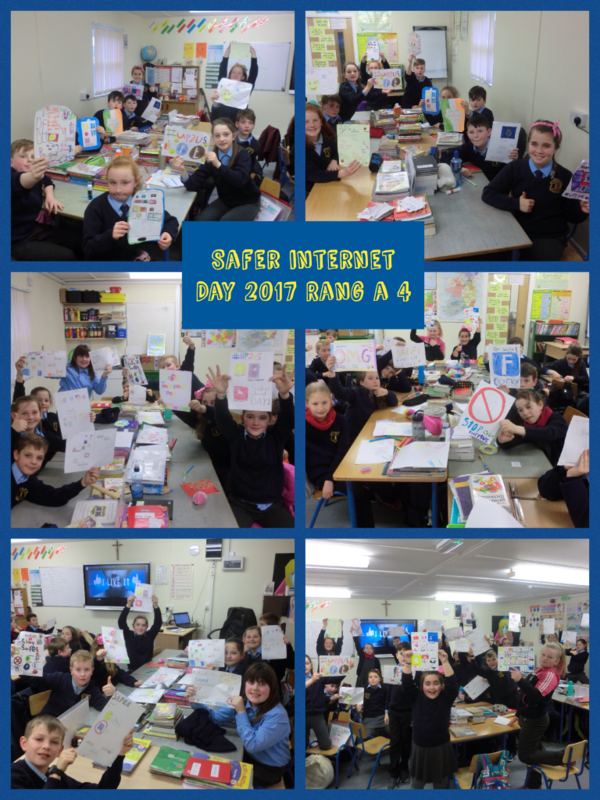 They will examine the characteristics of digital photographs; focusing on what makes them different from traditional photographs. 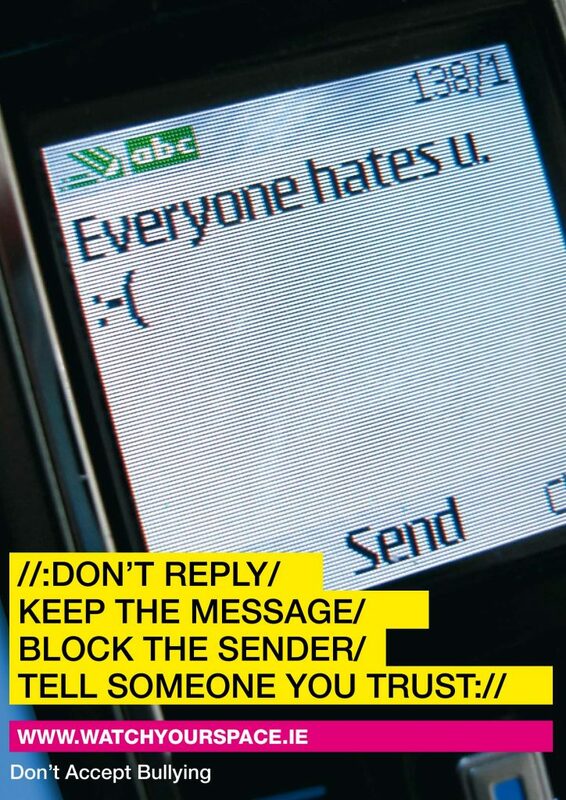 I Like It” is an anti-cyber bullying rap performed by the GMCBeats Youth Crew to celebrate Safer Internet Day 2015. 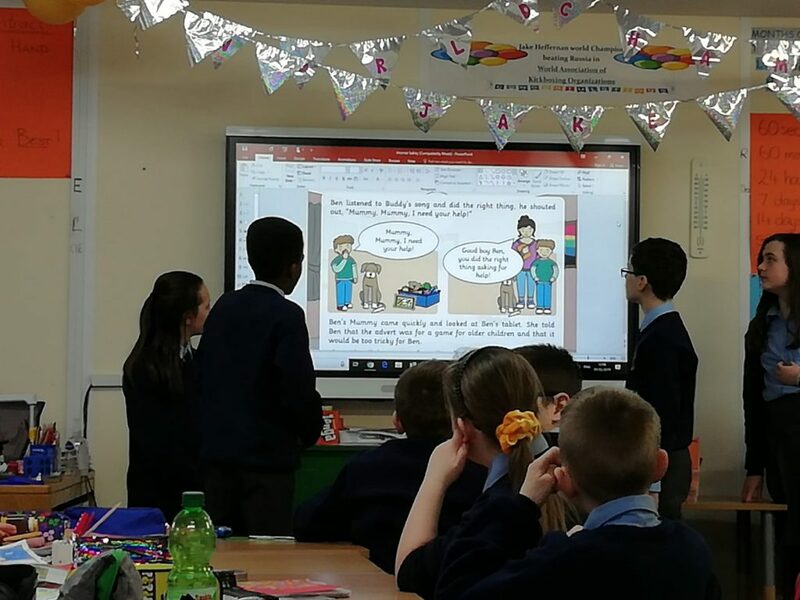 Vicky’s Party addresses the topic of Cyber Bullying, exclusion as a form of bullying and gives pupils a chance to empathise with those affected by it. 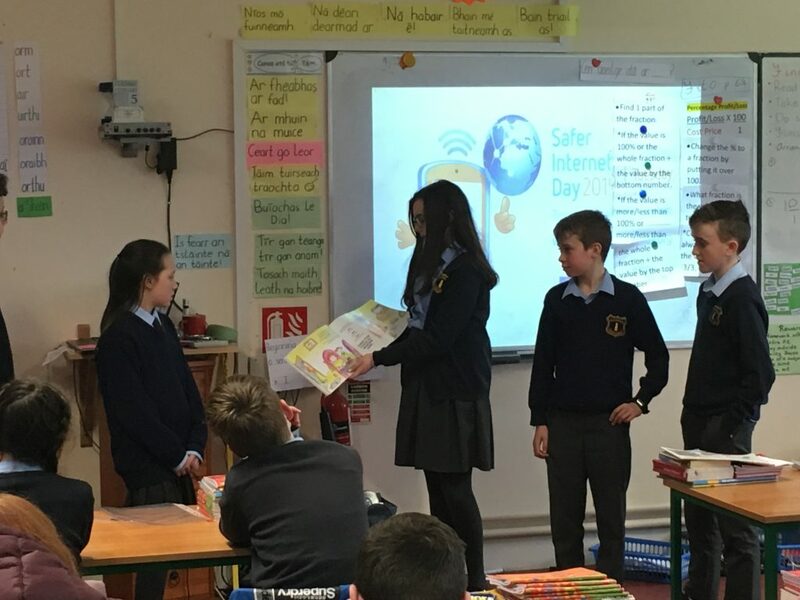 It will also motivate them to act responsibly and intervene in a positive and safe way.